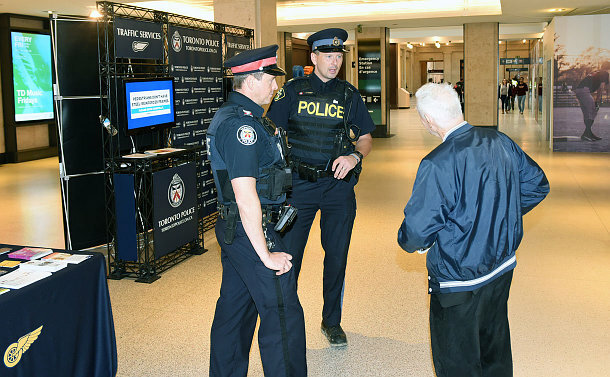 Toronto Police joined the CAA, the Ministry of Transportation and Union Station on November 3 to launch its annual campaign to enhance pedestrian safety. Sergeant Brett Moore said Union Station was chosen as the site for the launch because it’s the largest commuter hub in the city. Moore said there is no one particular road-user group that can be deemed at fault. Every Division participates in the annual campaign.